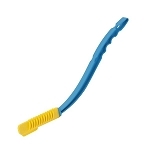 Provides firm body support and guards against sliding on bedding. Ergonomic design minimizes skin contact. 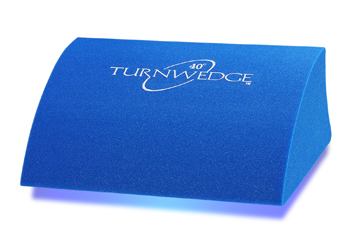 The Turn Wedge Body Positioning Aid is a unique ergonomic wedge designed to allow users to easily position a client at the desired angle for optimum comfort and pressure relief. Caregivers will find this light weight bed positioning aid simple and easy to use. The Turn Wedge Body Positioning Aid was developed using feedback from nurses and wound care specialists. The patented design addresses concerns that arise when using a lateral positioning device for the immobile patient. This wedge allows the client to be laterally positioned in gradual increments, allowing caregivers to provide a controlled angle of turn from 0 to 60 degrees. The non-skid surface effectively stabilizes the client's position. The wedge easily supports clients weighing up to a 350 pounds and is ergonomically engineered for minimal contact to the skin . 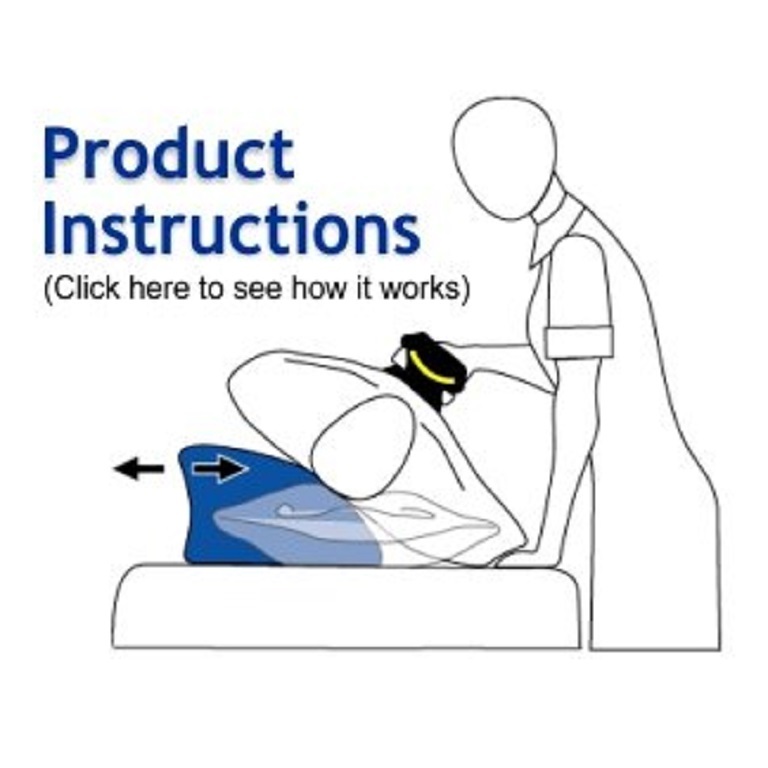 The Turn Wedge Body Positioning Aid allows users to comfortably position at precisely the desired angle and can be used as a standalone solution or as an adjunctive therapy to standard pressure ulcer prevention systems. The Turn Wedge provides better body support than pillows and blankets or other non-wound care specific body positioning aids. The Turn Wedge measures 18 inches long, 7 inches high, 10.5 inches wide, and weighs 10 oz. Dimensions: 18 inches long, 7 inches high, 10.5 inches wide. The Turn Wedge Body Positioning Aid is awesome. My mother is paralyzed on one side and we use the wedge to position her on her left side. The wedge stays in place unlike pillows that slide out. I would highly recommend this product. This pillow works well when needing to place my mother on her side to sleep. Easy to position but it can be moved by my mom when she doesn't want to be on her side which is not okay especially when we are trying to heal a pressure sore. All in all a good product. This is a fabulous product. I wish I had ordered it a long time ago. My husband lives in a hospital bed in our dining room with a traumatic brain injury. I give it a 5+. Thank you. Q: Can the turn wedge be used for a patient while they are in the wheelchair at home to prevent from sliding or leaning to just one side? A: The Turn Wedge Body Positioning Aid may be too big for a wheelchair but there are other wedges that may work. 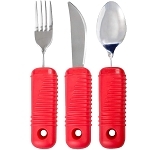 Like the Posey Lateral Positioning Wedges (Product #: CPO6309) which come in smaller sizes. Q: What are the dimensions of the "Turn Wedge"? 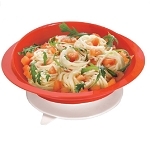 A: Dimensions: 18 inches long, 7 inches high, 10.5 inches wide.